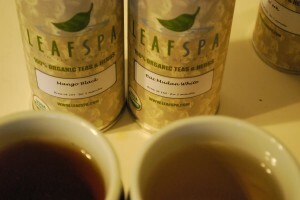 Earlier this week, I received a box of teas from the cool folks at Leaf Spa. I actually prefer teas to coffee due to my already high strung nature. Prior to trying out the organic teas from Leaf Spa, I thought all teas tasted the same and possesed that “vegetal” after taste. 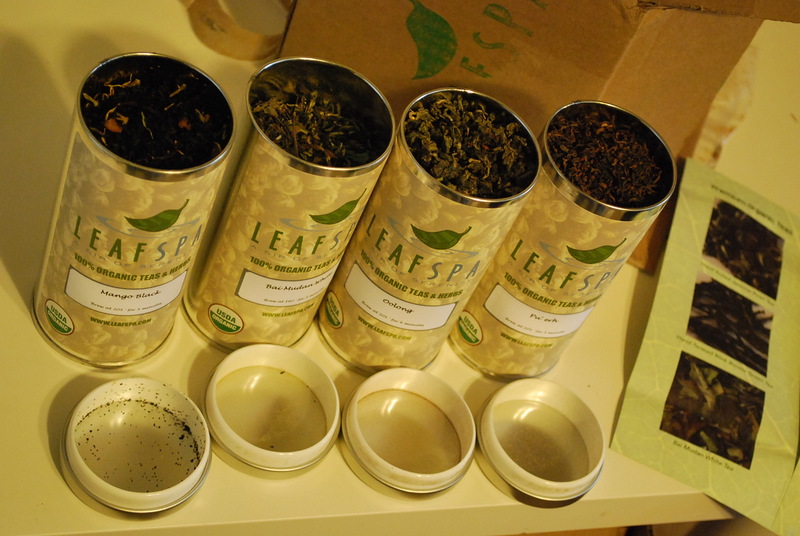 However, unlike the teas you get pre-bagged and packed in carton boxes, these bulk teas had a burst of flavor. My favorite one is the Mango Black. Although it has more caffeine than green tea, the rich, dark flavor is unparalleled. It also has a hint of sweetness.